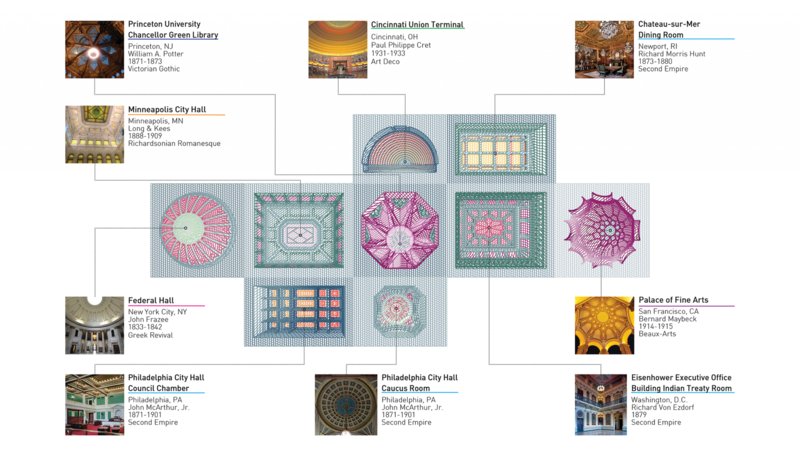 The Los Angeles-based studio FreelandBuck has been selected to design and install a temporary ceiling in the Renwick Gallery’s Grand Salon in the Smithsonian, the first in what is expected to be a recurring installation series called Above the Renwick Installation. Their project draws on the tradition of trompe l’oeil ceilings, using various techniques to create an illusion of depth. The design comprises a “catalog” of various notable American architectural styles, brought to life with 21st century technology.